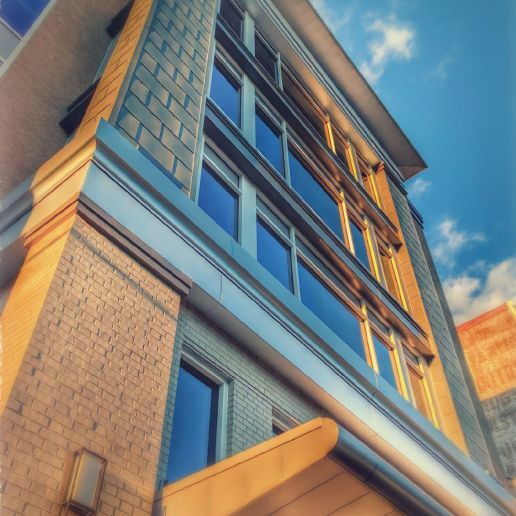 Changing a business model, renovating and moving into a new building, and refreshing a brand are major transitions for any business; Scheffey was honored the Lancaster Chamber chose us as a partner as they underwent all three concurrently. In 2016 and after a few years of re-imaging and planning, Lancaster Chamber – then known as The Lancaster Chamber of Commerce & Industry – began its aggressive evolution. We partnered with them and launched a capital campaign for its new home. 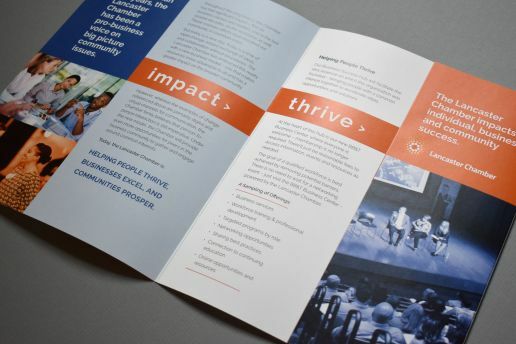 We created the campaign theme and logo, developed campaign messaging, and designed case for support materials. We consulted on communications aspects throughout the successful campaign that ended in 2017. 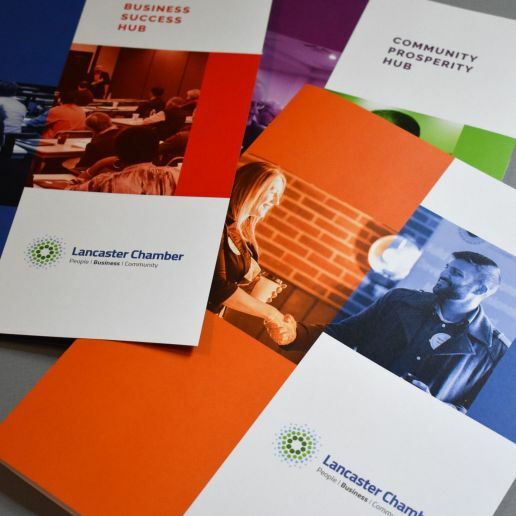 At the same time, we worked to refresh the Lancaster Chamber’s new brand that launched in Spring 2017. 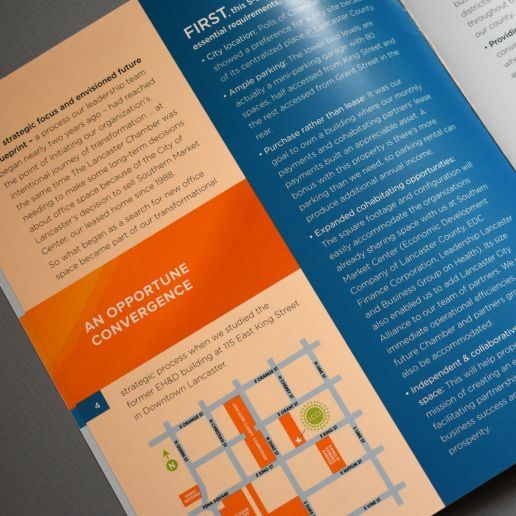 They agreed with our recommendation to condense the organization’s name and adopt the broader-reaching positioning “Helping people thrive, businesses excel and our community prosper.” This captured the Lancaster Chamber’s aspirational vision, broader impact, and focused mission for their new business model. We created a new, fresh logo that leveraged some of the older logo’s equity. We created a sales literature system for emphasizing the new positioning, explaining the new business model, and encouraged people to become Impact Investors and use the services and products of the Business Success Hub. Though the capital campaign has an end date, we wanted the energy and concept of the campaign to carry through to the future. For this reason, we adapted the campaign name – Thrive! 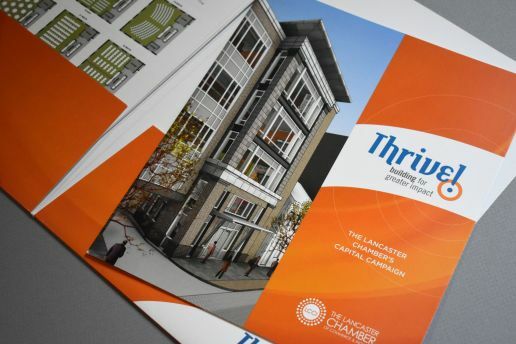 – and titled the Chamber’s quarterly business publication “Thriving.” The publication is one of the many ways Lancaster Chamber is using Scheffey’s creative work to deliver powerful and consistent messaging and help propel the organization.